Always use thawed salmon for this recipe. 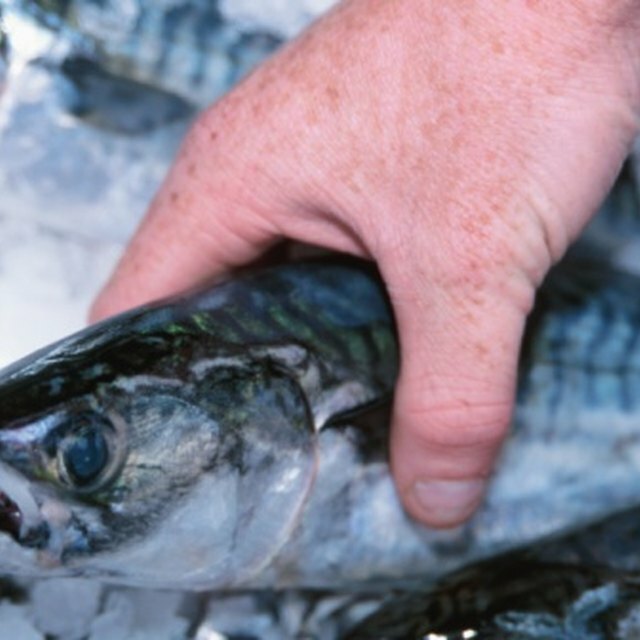 Salmon fillets are meaty and fairly dry when compared to other fish. When prepared correctly, salmon meat is soft, flaky with a mild fish flavor that melds well with many seasonings. There are several methods of cooking salmon, from pan frying to barbecuing the meat. 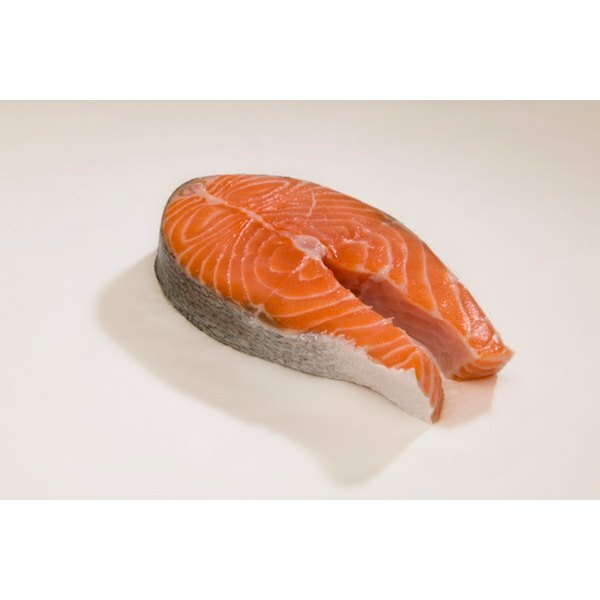 BBQ salmon fillets have a slightly crisped exterior that seals in the meat’s distinct flavor. Before barbecuing, you must marinate the meat for four hours to impart a flavor that will not cook away when exposed to open flame. Combine the lemon pepper, garlic powder and salt in a small bowl. Stir with your fingers and rub into both sides of three salmon fillets. Mix the soy sauce, water, brown sugar and vegetable oil in a freezer bag. Seal and shake to blend the ingredients. Add the fillets to the bag, press all of the air out and seal. Turn twice to coat the salmon evenly. Refrigerate for four hours. Oil the grate on your barbecue lightly with cooking spray and preheat to medium. Place the fillets onto the barbeque; discard the bag and marinade. Cook each fillet for eight minutes per side, or until the meat flakes easily when prodded with a fork. Remove the fillets from the grill and allow them to cool for three minutes before serving. Serve each fillet with a lemon wedge garnish. For spicy salmon fillets, add 2 tbsp. cayenne pepper to the seasonings in the small bowl.